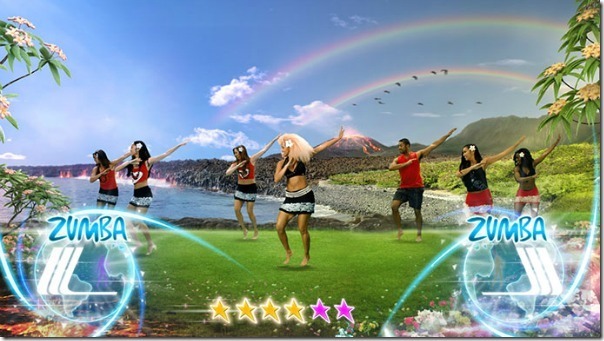 Zumba Fitness World Party is the latest Zumba game for Wii, Wii U, Xbox One and Kinect for Xbox 360 and this time, you get to move to 40 new songs in 30+ different dance styles from around the world! I am reviewing the version for Wii. Dance with 14 celeb instructors. 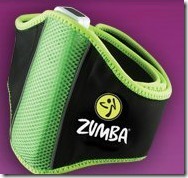 It’s hard to Zumba while holding a remote so for Wii you can use the Zumba Fitness Belt to dance hands free. The belt is included and fits small to XL waists. I’m about 18-22 pants size and it just BARELY fits me but it does so if you are bigger than that, it won’t work for you. HOWEVER if you wear tight-waisted pants you can just stick it in your waistband to dance hands free. My skinny 6 year old was able to wear it but it didn’t hold well since she is so small. It should work fine on a small sized adult though. You can buy extra belts at Gamestop.com, Bestbuy.com and Amazon.com. I use to think Zumba was something that was too hard for me to do because I’m big and out of shape but I didn’t do too bad. You can pick from Low, Medium or High Intensity workouts so you can work yourself up to a sweat and then back down or you can just stick with the low or medium intensity if that’s what you prefer. You’ll recognize some hit music by Lady Gaga, Pitbull, Marc Anthony and possibly more. You can preview all the songs on the game at the Zumba Fitness Game site. Travel to Brazil, Hawaii, India and more and follow REAL dancers, not some coloured body outlines. Earn stars as you do well and the most stars you earn, the more dancers you get to follow along with. If you get a HOT you are doing very well and if you get a ZUMBA you are on fire! 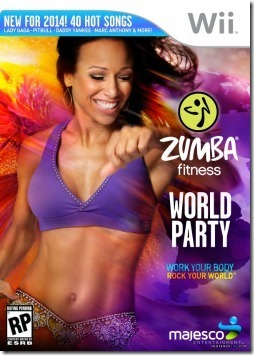 Buy Zumba Fitness World Party now for yourself or a friend!